We have a local Jenkins server that has access to our local bitbucket server. The goal is to achieve that Jenkins grabs code from that bitbucket server, and pushes it to AWS. Sign in to the AWS Management Console and open the IAM console at > https://console.aws.amazon.com/iam/. 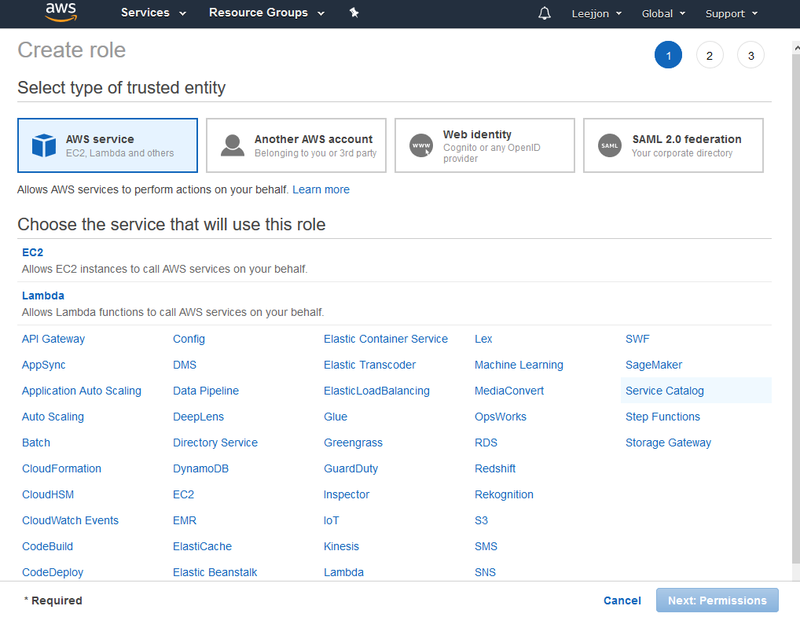 Which of the options do I pick for "Choose the service that will use this role" in the create role screen? Browse other questions tagged amazon-web-services amazon-iam or ask your own question. Why does my created Amazon IAM user get “We can not find an account with that email address” when trying to log in?